Value. Everyone talks about it. We deliver it. 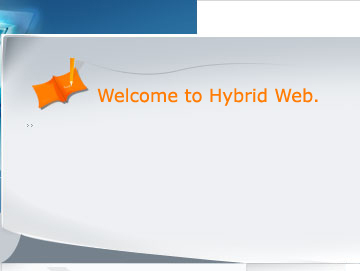 Hybrid Web is the company of choice for small to medium size businesses. Hybrid Web, Inc's services include the planning, design, development, maintenance, and optimization of computer software, Internet applications, server development and mobile application development. Whether you want to maintain your website or have us manage it for you, Hybrid Web has the right solution to fit your budget. Take the hassle out of running your website and let Hybrid Web update and manage your website for you. The main objective of our Managed Service Plan is to ensure regular updates to your site, promote the site effectively, and manage your domain and hosting facilities, thereby freeing up your time to work on your business while your website is professionally cared for. Monthly Information Updates including news updates, special offers, announcements, image updates or any other information updates. Search engine registration of your site for better search engine rankings. Maintenance, support and renewal of domain names, hosting and server facilities. An easy way of updating and managing your site: Just email us the changes you require! Guaranteed service levels: No long delays getting your changes online! Professional service: We're here to make things easier for you! At Hybrid Web, we are quite flexible and can provide service plans tailored to your needs. If you need irregular updates or a specialized update during the year, we can customize a service plan for you (These types of updates could include a site redesign, adding shopping carts, custom forms, guestbooks, and calendars.). Contact Us to get free advice on how Hybrid Web Managed Service can help you.